What could possibly be more British than showing up to a colonial war in a Barbour jacket? As a brand Barbour’s rich history and hype is linked to Britain’s wars. During the Second World War Barbour created the Ursula Suit, a custom made waterproofed suit for Lieutenant Commander George Phillips the commander of the submarine HMS Ursula. In a testament to Barbour’s design and craftsmanship, the Ursula Suit would become standard issue clothing for British submariners and in later years, become a holy grail for vintage menswear heads, placing it at the center of the military and heritage brand vibes. But of course, the British Military’s obsession with waxed cotton didn’t stop there. Fast forward to 1982. For reasons far too complicated to get into on a website about clothes, the military junta that controlled Argentina invades the sparsely populated Falkland Islands in the South Atlantic. Much to the surprise of the Argentinians –– and most British –– a task force of British sailors, soldiers, and Royal Marines were hastily sent the nearly 9,000 miles to the South Atlantic to retake the islands. If you are more interested in this bizarre conflict pick up Max Hastings’ and Simon Jenkins’ The Battle for the Falklands. 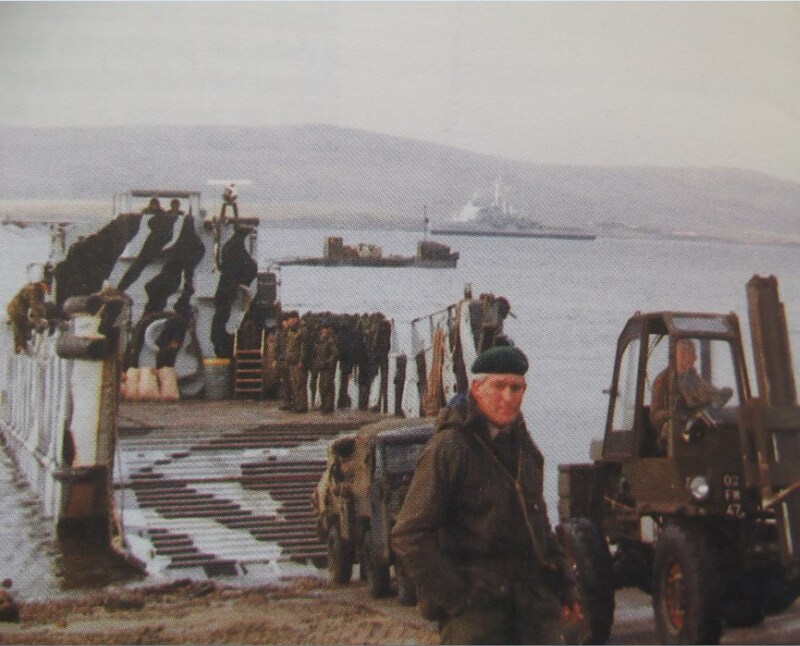 What concerns us here is how Barbour jackets figured into this aberration of a conflict on the windswept and bitterly cold islands in the South Atlantic. 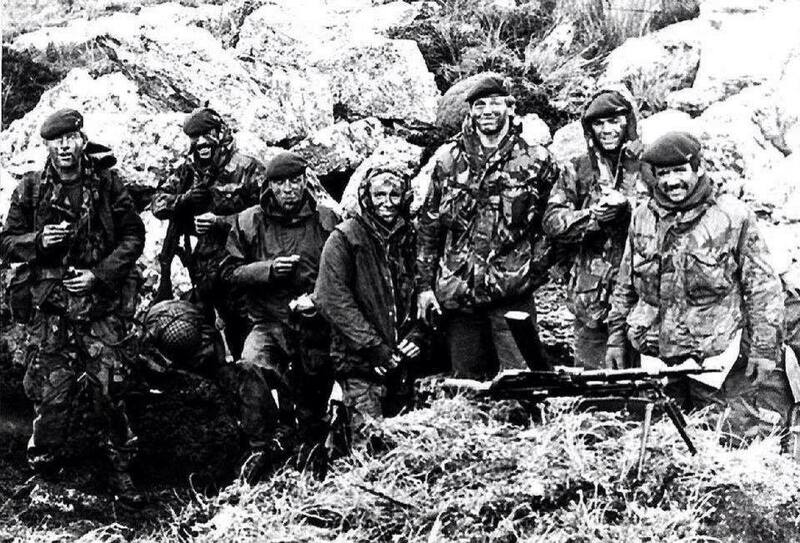 If WWII uniforms are the domain of vintage bros and denim heads, the Falklands War belongs wholly to Gorpcore sans Gore-Tex. The British Military that steamed down to the South Atlantic was a force of professionals and arguably the first military of a developed country to enter a campaign with access to an abundance of civilian camping and outdoor gear. In 1982, the British military was still using non-breathable fabrics to fend off water. 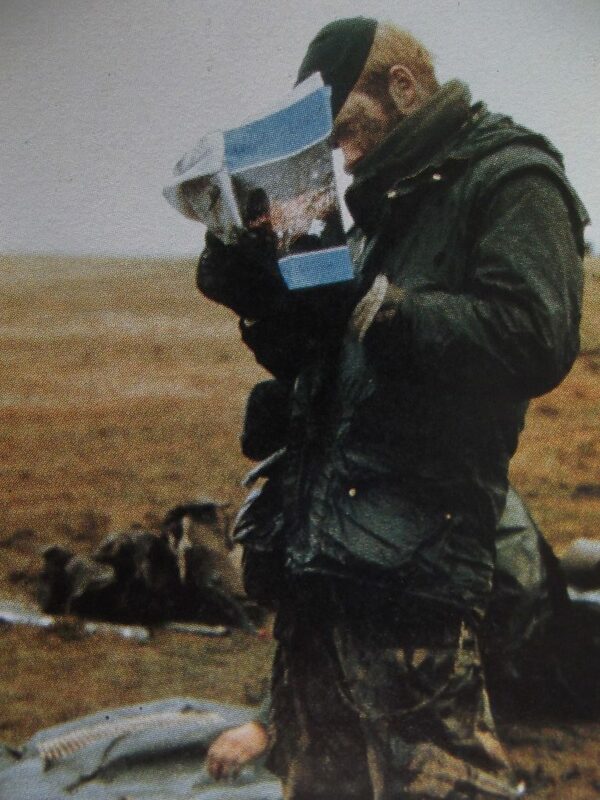 These stiff plastic foul weather suits were disparagingly referred to as “crisp packet” waterproofs. Enter the ubiquitous staple of English menswear – the Barbour jacket. 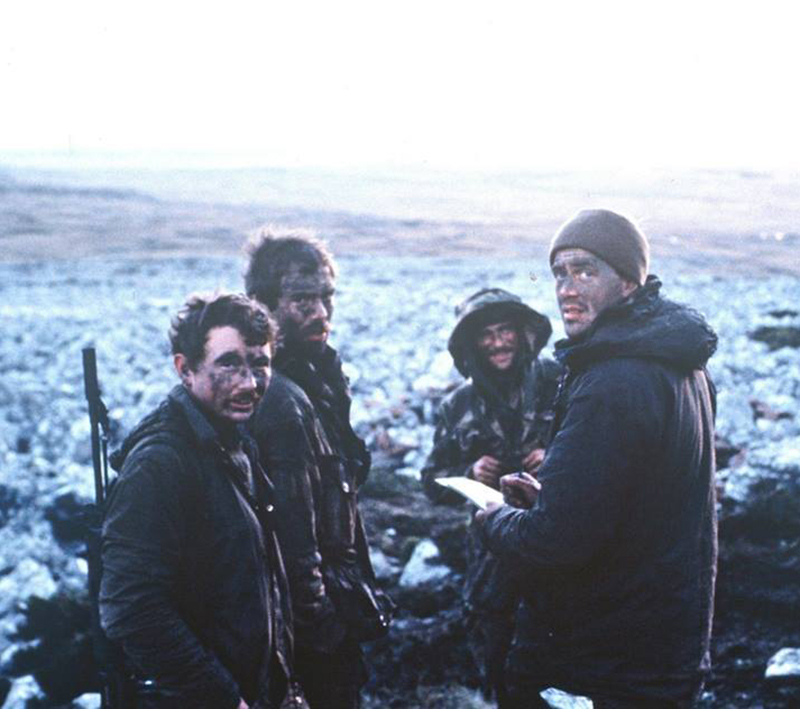 (above: A group of British soldiers during the Falklands War show the British issue quilted liner jackets. Also Captain Cotton and details of his Barbour Durham jacket). 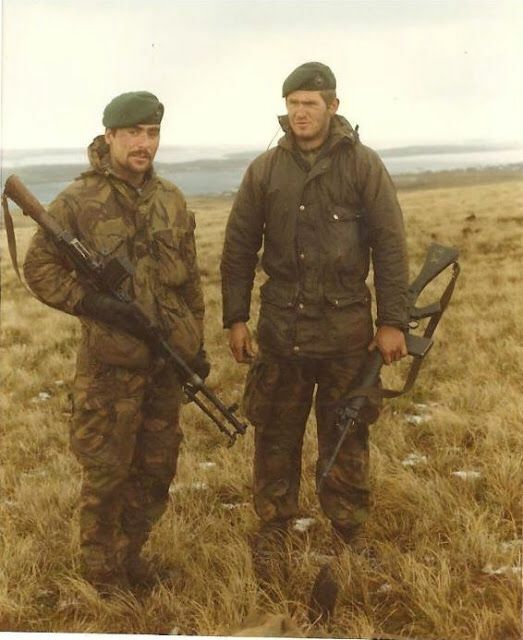 The archive piece was worn by Captain Mick Cotton in the Falklands war [sic] and was customized by Barbour for Captain Cotton to use in the conflict. Capt Cotton served in the 2nd Battalion The Parachute Regiment (2 Para). Whilst not official army issue, troops were often seen in the field wearing Barbour coats. 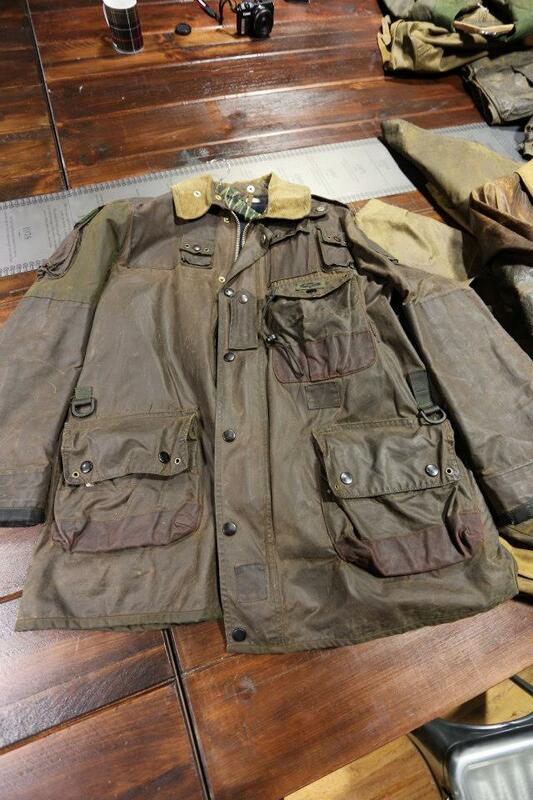 Barbour used a Durham jacket and added a number of pockets, D-rings and arm pouches to give the coat the additional storage options and make it more useful for combat situations. While Captain Cotton’s Jacket is a handsome piece of kit, it is apparent that his Barbour Durham was never anywhere near the Falklands War. It is a simple giveaway, there are two too many Royal Warrants on the inside. As you can see from the photos, there are three Royal Warrants on the jacket, placing its date of production to after 1987. Another jacket in the Barbour archive is Captain Cotton’s modified Gamefair jacket. 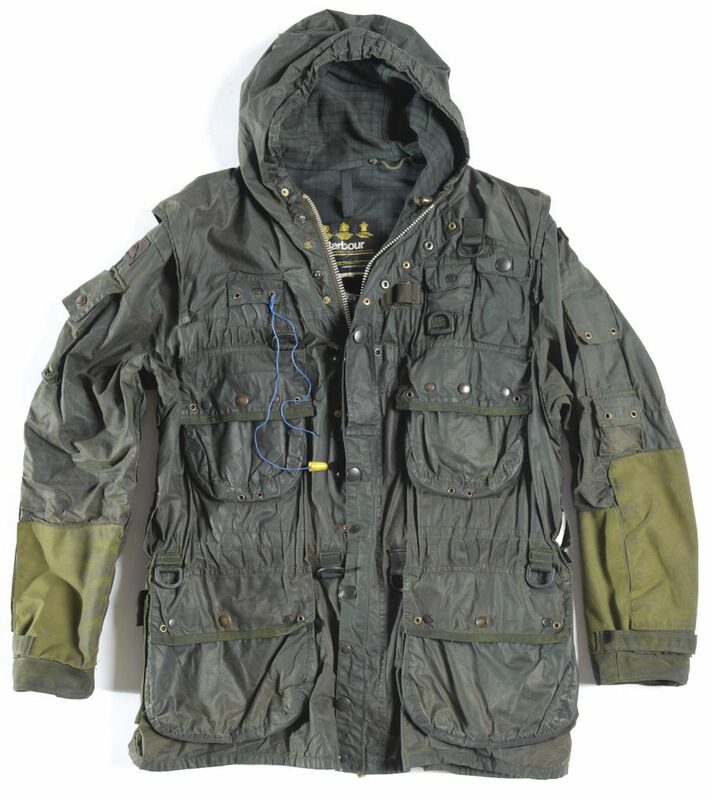 This jacket, according to the Barbour, was also one of the jackets that Captain Cotton took to the Falklands War and gave to Barbour for their archive. While still modified, the Captain Cotton Gamefair is not nearly as “tactical” and without pictures of the label, you are unable to properly date the jacket. The chest rank tab (on the placket) does come across as a hallmark of a post-Falklands modification. We were, in the main, adequately equipped for our foray into this demanding environment … Even so many men had supplemented their equipment with private purchases of gloves, bungees, gaiters, sleeping bags and Barbour jackets. Photos from the war back this foxhole fashion up. Barbour Durham and Solway Zipper Jackets crop up, mostly among the Royal Marines. The Durham’s are easy to spot with their distinctive vest-like shoulder construction. “The unlined Durham was popular as it it could be rolled up tightly and would easily fit into a pouch or rucksack,” says Hannon. Even before the conflict Barbour would produce a jacket in full British Army DPM camouflage print for military use before lighter and synthetic options became available (these have been riffed on quite a bit by later Barbour collaborations), but there is no evidence of them being used during the war. 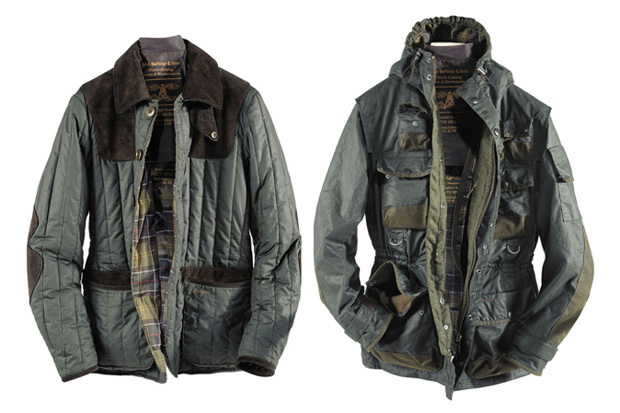 Durham and The Solway Zipper (which is seen in photos as well) jackets are lightweight by Barbour standards and unlined. An odd choice at first blush for the nearly antarctic war. But what soldiers and Royal Marines needed wasn’t an extra layer for warmth, but rather a lightweight layer capable of stopping every present and strong winds and seemingly unrelenting dampness. These jackets could be easily stowed away and broken out when needed and layered over copious layers. Barbours, especially the Bedales and Beauforts, can seem a bit stuffy, old money in the wrong way, preppy, finance bro who stepped into a J. 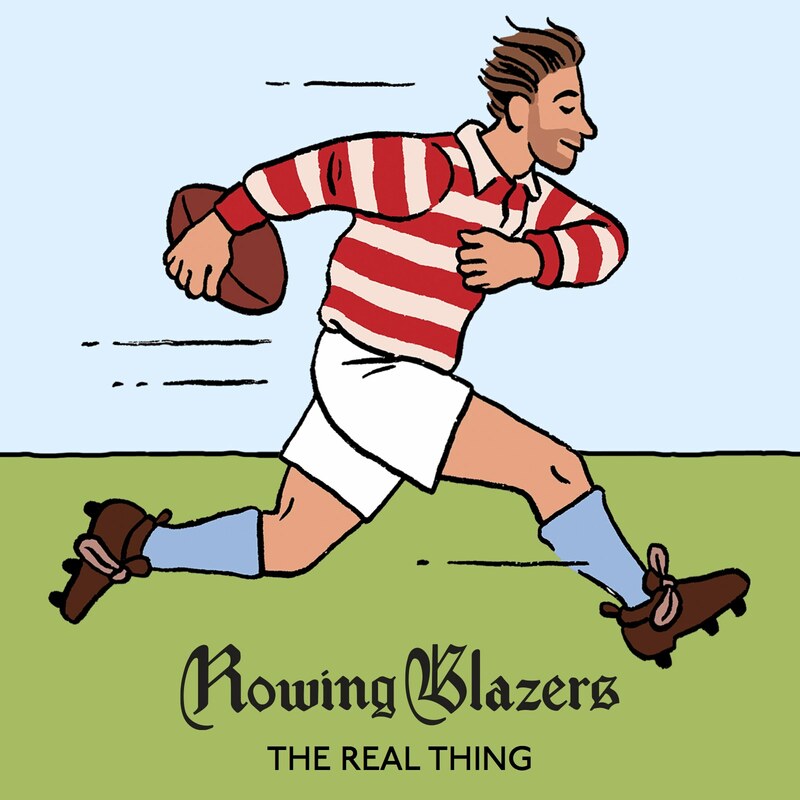 Crew between 2010 and 2015. But it doesn’t have to scream Sloane Ranger or “heritage brand guy.” The jackets that were popular with troops during the Falklands are less sought after models. The Durham is still available and for quite a bit less than its heavier brethren. The Solway Zipper Jacket and Gamefair have to be sourced on the vintage market as both ceased being made in 1997 – though the Gamefair seems to have been remade in 2010. Of course, you can also always go the Barbour x Tokihito Yoshida F/W 2010 or the Barbour x Engineered Garments AW 2018 if you want to splurge. 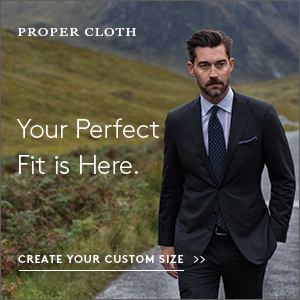 With one of these, simply follow one of the menswear mantras, “layer, layer, layer” and pair with a rough and tumble military quilted liners or vests. 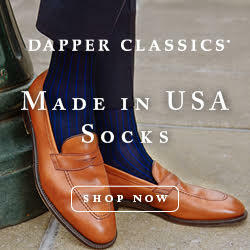 The British models are still easy to come by and offer a different look from pedestrian American liner jacket style. Camouflage is still having a bit of a fashion moment, so Instead of raw denim (J. 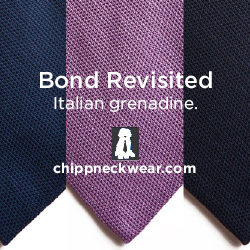 Crew catalog) or corduroy (Sloane Ranger), throw on some camo pants, the weirder the better. 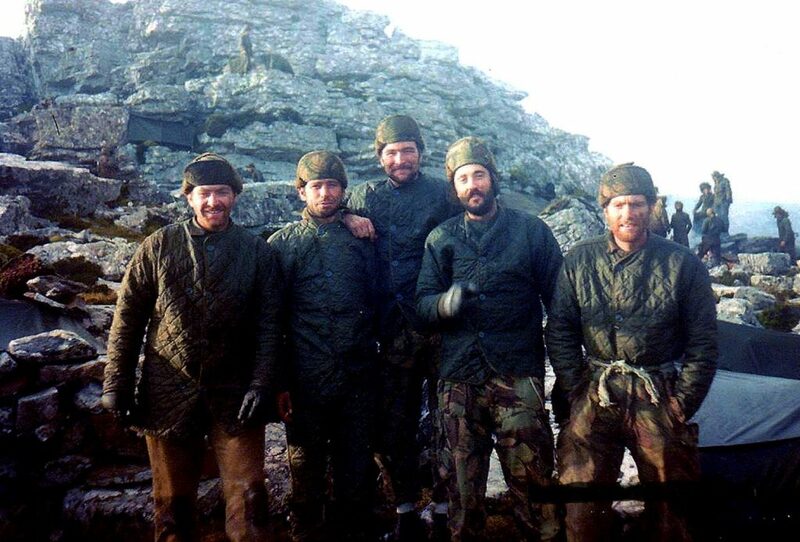 If you are a purist, go for some early British DPM camouflage that was worn during the conflict. These can still be hunted down on eBay or eBay.co.uk. For those only lukewarm on camouflage, consider something a little more subtle, like a British military scrim scarf.